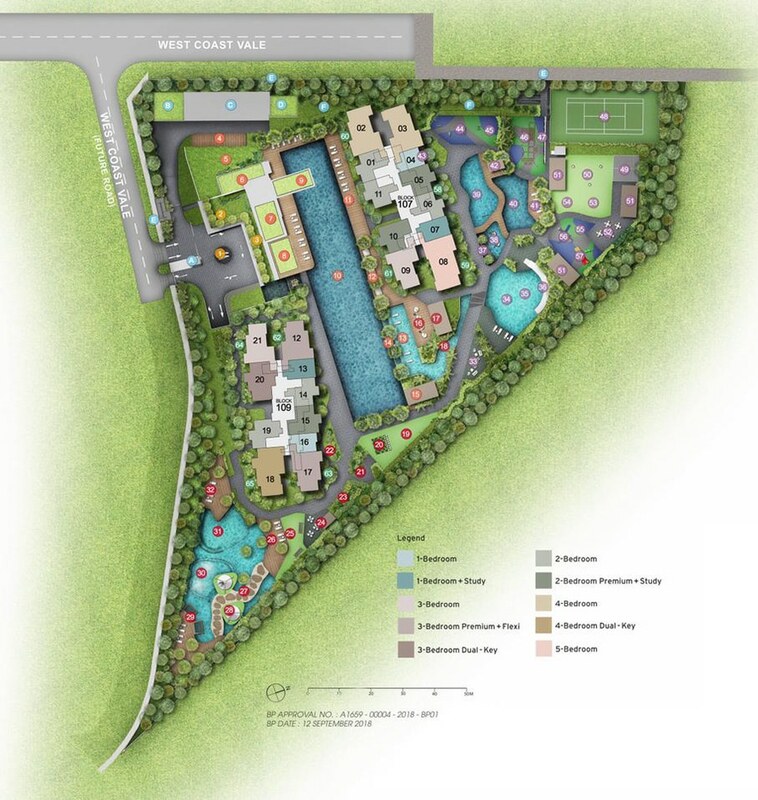 Whistler Grand is an upcoming residential development that is located in West Coast Vale, Western Region of Singapore. Its site is located at the end of West Coast Vale. It is in between The Infiniti and Botannia and opposite of the upcoming Parc Riveria. It is also linked by West Coast Park and also near to the Ayer Rajah Expressway (AYE). Whistler Grand has a total plot area of approximately 19,591 square metres. It has a plot ratio of 2.8 and can yield up to an estimation of 716 private residential apartment units and 2 commercial shops upon its completion. The site of Whistler Grand was introduced in 2nd half of 2017 as part of the Government Land Sales Program. 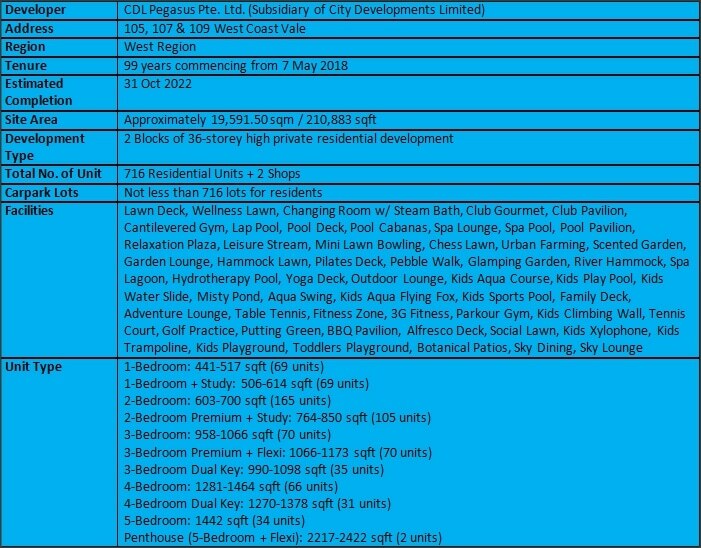 Whistler Grand is also near to Faber Crest, Waterfront @ Faber, Carabelle, Monterey Park Condominium, Hundred Trees, Park West, Regent Park, NeWest and also the upcoming The Clement Canopy. The nearest MRT Station to Whistler Grand will be Clementi MRT Station. This station operates the MRT East West Line. It will be more convenient for future residents of Whistler Grand to head down to Jurong East Town Centre instead which host the Jurong East MRT Interchange and also Jurong East Bus Interchange as there are bus services just outside the development that goes straight there. Bus services are abundant at the bus interchange which allows future residents of Whistler Grand to commute to the rest of the island. The MRT Station also operates 2 MRT lines i.e. the East West Line and also the North South Line. From the Jurong MRT Interchange, future residents of Whistler Grand just need to take the East West Line 3 stations towards the East direction to reach the Buona Vista MRT Station. Future residents can transit to the MRT Circle Line which this station is also operating. Whistler Grand is also approximately 1 km away from the upcoming Pandan Reservoir MRT Station which will open the Jurong Region Line which is scheduled to be completed in 2027. For those driving, It will take approximately 12 minutes of driving to reach the Central Business District (CBD) and 13 minutes of driving to reach Singapore’s main shopping district, Orchard Road. 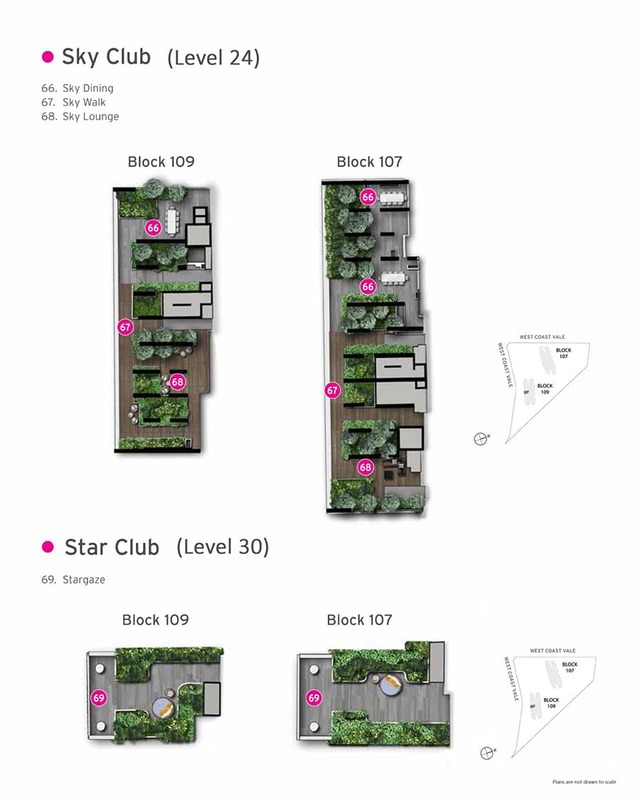 All these are possible with the availability of the nearby Ayer Rajah Expressway. This expressway can easily link to other expressways such as the Pan Island Expressway (PIE) and also the Central Expressway (CTE). In terms of dining and shopping, future residents of Whistler Grand can head down to nearby NeWest, a mixed development comprises of residential and commercial units that is located at the former Hong Leong Garden. The mall comprises of 44 restaurants, 31 food kiosks, 65 retail shops and 1 supermarket which can satisfy the residents’ daily needs. There are also many mega malls that is located in the nearby Jurong East Town Centre, namely Big Box, IMM Building, Westgate and Jurong East Mall (JEM). There are also a few major market and food centres nearby for those who wish to get their local delights such as 502 West Coast Drive Market Centre, Ayer Rajah Food Centre, 37A Teban Gardens Road Market and Food Centre and 448 Clementi Ave 3 Market and Food Centre. Schools that are nearby include Nan Hua Primary School, Qifa Primary School, Clementi Primary School, Pei Tong Primary School, Commonwealth Secondary School, Clementi Town Secondary School and Tanglin Secondary School. Quiet Living – Whistler Grand is nestled in the serene private residential district. 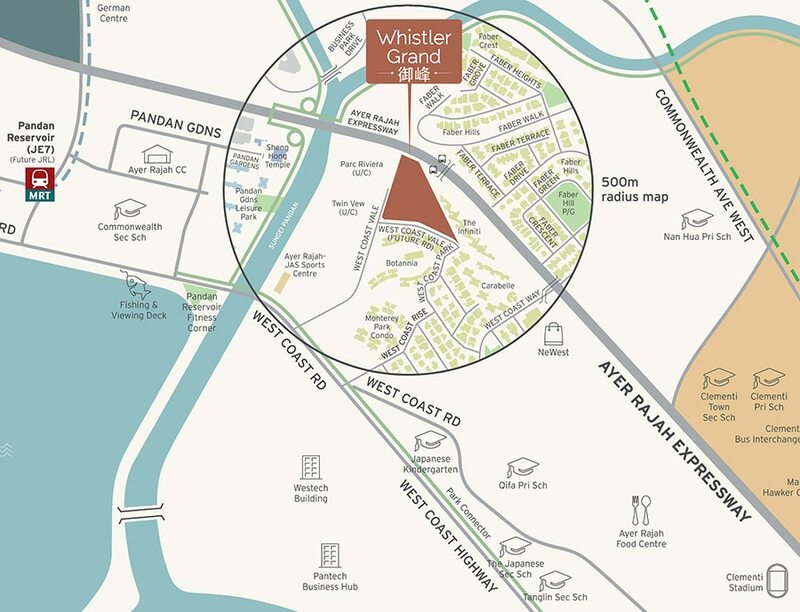 Connectivity – Whistler Grand is near to AYE which easily connects to various parts of the island. Potential Rental – Whistler Grand is near to Japanese schools which appeals to Japanese expat families. 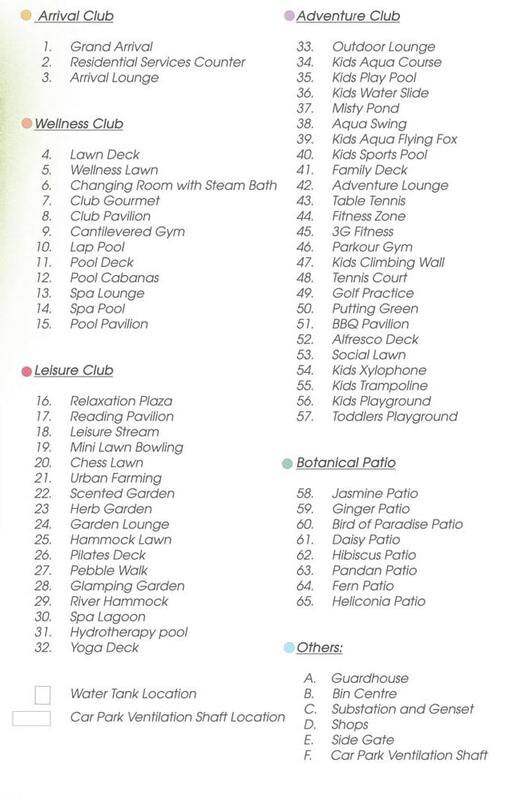 Great for Family Living – Whistler Grand is near to various institutions. 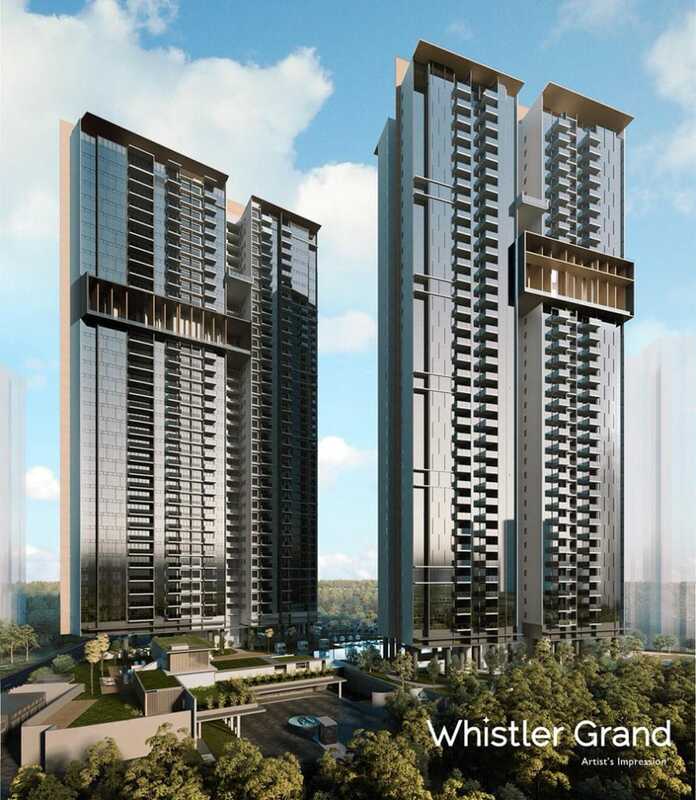 Potential Gain – The future development of Jurong Lake District will impact positively on Whistler Grand‘s price. Want to be a proud owner of a unit in Whistler Grand? Thank you for your interest in Whistler Grand!